Treat yourself to a fun and relaxing night out! The White Horse District of the Garden State Council, Boy Scouts of America, which covers Scouting programs throughout Camden County, is hosting a Wine and Painting event on Friday, June 1, 2018. Only $45 per person. The event is open to anyone and everyone. Couples are welcome. Bring your favorite bottle of wine. Light refreshments, coffee, tea, and water will be provided. There will be a Basket Auction. One sheet of tickets is provided with your reservation for the painting night. Additional sheets can be purchased for $20. Anyone interested in just the basket auction can purchase ticket sheets for $20. The event will open at 6:30 p.m. to allow for the viewing of the baskets and purchase/placement of tickets. 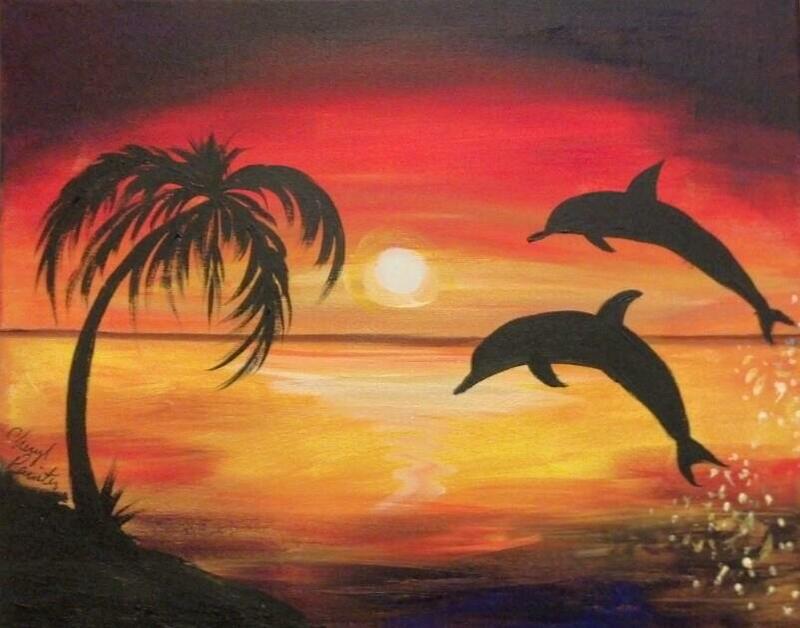 The tickets will be drawn at 7:00 p.m. and the painting will start after the basket drawing. All proceeds benefit Barrington's new all-inclusive playground and the scouts of South Jersey. One of the key values of Scouting is to give back to the community and the White Horse District feels all children deserve the opportunity to play in an inclusive environment just like all children deserve the opportunity to be in Scouting. The playground project includes installing solid surfaces, accessibility for wheelchairs, and equipment designed for every disability and ability.